The Alois Wolfmüller paper plane festival “Fliáng!” is dedicated to the Landsberg inventor, engineer and aviation pioneer Alois Wolfmüller. What starts with paper planes can easily lead to big developments. 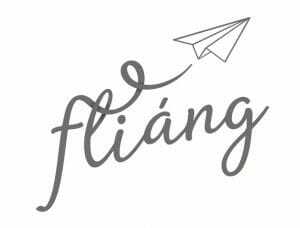 “Fliáng” – dream or nightmare of humanity? We try it out and invite young and old to lend a hand to a large workbench in the portico itself. There will also be a large installation of hundreds of objects made together and of course there is a music, exhibition, actions in the city especially at the birthplace in the Herzog Ernst Straße 179b, Landsberg. It was there that the idea for the project was brought to life in the DISCY MusikBuchHandlung by Edmund Epple. The project is designed and carried out by the association dieKunstBauStelle with the support of the makers, the theater, the Stelzer and other actors in the city. The workshop is expertly accompanied by experts of aircraft technology and the artists, Wolfgang Hauck and Renate Stoiber. And last but not least: The singer Maggie Jane, from Greifenberg, writes a song for the project! All events with free admission. For this purpose, actions take place at Georg-Heilmaier-Platz and in the city center.